How to Get Started with Power Lead System. New affiliates to Power Lead System? Just click here to access your “click-by-click” Orientation Training and Fast Start Coaching. We created this as a $1,500 Per Month Internet Marketing coaching program but we wanted it to be available to all our team so we kept the price at just a one time $150. Our affiliate program comes included at no additional charge and earns you $100 per referral on every $150 sale after your first sale. We built our affiliate program on a 1UP structure to provide you with leverage. Everyone “passes up” just their first sale’s commission. So, as an affiliate, every single affiliate that resells the program will passup their first $100 sales commission to you. Then those people who are passed up to you also will passup their first $100 commission to you. …and so will THOSE new affiliates, passup their first $100 sales commission to you and on and on. You only passup your first sale. But you earn $100 on every single $150 sale after that and each new sale starts a new passup stream. It’s all inside Simple Freedom Academy. You can own it and learn from it starting today. You can also use this automated marketing system and resell it as an affiliate. 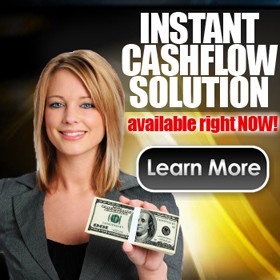 It’s the simplest way to start creating cash flow online with my training.